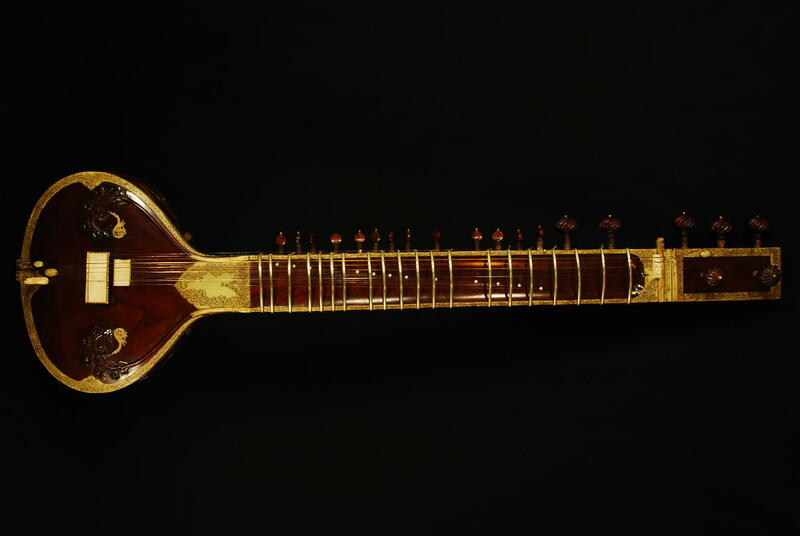 This is a true Hiren Roy sitar from the 1960s. The musician who personally ordered it from the famous luthier Hiren Roy has owned it for 50 years. This is a genuine Hiren Roy sitar from the 60’s, directly got from the musician who owned it for 50 years and who personally ordered it to the famous maker Hiren Roy. Its owner had a great care of the instrument, which we find today in perfect conditions and keeping the original elements (pegs, upper bridge, langot…). It has been only lightly polished in order to preserve as much as possible of its original “vintage” look, and the jawary has been opened, according to Ravi Shankar style. 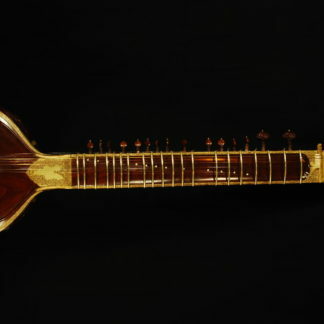 The price includes a fiber glass box for the sitar but not for the upper tumba, due to its dimensions. This is, undoubtedly, a must for a collector, a rarely seen piece nowadays not easy to find.